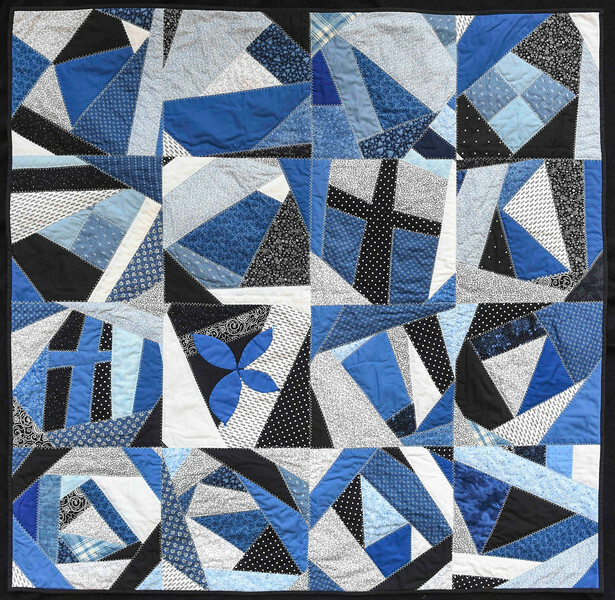 Quilters were invited to interpret the Tenth Triennial Gathering theme, All Anew, in a 40" square quilt, using only black and white fabric plus one additional color. Here you'll find the quilts entered into the challenge. Each photo includes a caption written by the quilter. What better way to demonstrate "all anew" than with a quilt? And an old fashioned crazy quilt is an especially good example -- those old, unwanted fabric scraps put to new use to create something useful, warm and cozy.